And nowhere is that clearer than right now, in Oklahoma. But this isn’t a post about that bill. This is a post about another bill. A bill that many people think is dead in this legislative session. But a bill that could be resurrected, even on the last day of the session. And it’s a terrible bill for those committed to Oklahoma history. In a word, the Oklahoma Historical Society is fabulous. Independent, dedicated, committed to Oklahoma’s rich history and to making information about that history easily and readily available. The curator and caretaker of genealogical resources that can only be described as stunning. Supported by some tax dollars, yes, but also by 10,000 dues-paying members. Run by an independent board of directors who need to answer to no politicians with their shifting agendas. And it’s that last point that — at this moment — is still at risk. Now I have no trouble with the idea of genealogical tourism, and Oklahoma does a good job with that. But I have a lot of trouble with taking an agency that works — that is totally committed to historical preservation — that is staffed by professionals at every level — that has been totally apolitical since the day it was founded — and handing it over to an agency headed by a political appointee whose position is only as stable as the political winds allow. I have a lot of trouble with taking the assets of an agency dedicated solely to preserving our history7 — and even an endowment fund intended solely for historical preservation — and handing them over to a political appointee. I have a lot of trouble with taking 10,000 citizen-historians out of the picture — with essentially telling them they’re not wanted and they have no say in their own history — and with making the independent board of directors nothing more than an advisory body with no authority to keep Oklahoma history independent of Oklahoma politics. And I have a lot of trouble with combining missions the way this bill does. • Because I know, and you know, that if it ever came down to a question of using resources that might have gone to historical preservation and dedicating them to, say, bringing in a sports game, it isn’t history that will win. • And because I know, and you know, and — quite frankly — I’m sure Governor Fallin knows, that when someone’s modern political agenda isn’t consistent with what the historical record shows, it isn’t going to be history that wins out. I have a lot of trouble with fixing something that isn’t broke. And right up until the very last day of this legislative session, this proposal to abolish the Oklahoma Historical Society in favor of some consolidated politically-charged department could still be tacked on to another bill in an attempt to have it fly by under the radar. And then please consider contacting an appropriate member of the Oklahoma Legislature to let these folks know we are watching — and that we vote. Those of us from Oklahoma, at the ballot box. Those of us who live elsewhere, with those tourist dollars they seem to want so badly. Information about members of the Oklahoma Senate can be found here and about members of the House here. “Eternal vigilance,” it is said, “is the price of liberty.”8 Please join me in being vigilant against this threat to historical freedom in Oklahoma. Un-believ-able! Holy cow, I can’t believe a group of politicians thinks it’s okay to dismantle a private non-profit agency and just grab it & all it holds. Amazing. Have they thought what else they might grab? It boggles my mind. If this goes through, what’s next?? I guess I shouldn’t be surprised at what politicians do. But I am. Keep up the fight. I should clarify that this was not a private agency. It is a state agency. But it is one that is UNIQUE in that it has a board of 25 members, of which 12 are appointed by the governor and 13 are elected by the membership. The governance has been nonpartisan and nonpolitical and that has enabled the organization to remain successful despite huge budget cuts over the last two decades – 28% in the last five years. It has developed public/private partnerships in which donations, grants and endowments have supplemented state funds – some projects being entirely done without any state funding. It rents open areas in the main facility in OKC out when not in use for weddings, banquets, etc., to compensate for the loss of state funds. It is a membership organization and doing away with membership alone will cost OHS over $800,000 annually. Unless the degree of quality and professionalism OHS has established continues under Tourism (a BIG if) OHS stands to lose future donations, endowments and grants and even future collections if people are afraid to entrust OHS to properly care for and preserve their collection. 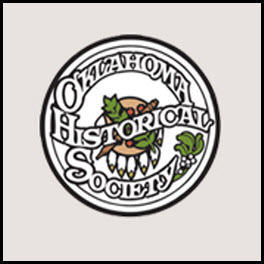 OHS is the only historical society in the country to be an affiliate of both the Smithsonian and National Archive due to its high standards. If this happens it will not be OHS – it will be the something like the History Department of the Department of Tourism. As a researcher here I am very concerned about the loss of OHS as we know it. If consolidation occurs all properties, funds, endowments, etc will be transferred to Tourism. The current administrative staff – all hands on by the way – the Executive Director, a historian, does museum tours as well as work on funding and every other aspect – will be replaced by the head of Tourism a governor appointee. Staff will be hired by that appointee. The board – if it exists at all as it is the governors choosing – will be all appointed – membership will be done away with. It will have no power or authority. The average head of Tourism lasts 3 years – they will not have the long term goals for OHS that we have now. I am afraid and sad – and I am sure other locations are threatened by similar moves. Thanks for that clarification, Carolyn. I sometimes forget that words I use (“independent agency”) have a meaning in the law and not necessarily to non-lawyers. An independent agency is generally a public (or fully or partially publicly-funded) agency, but with some method of governance outside the “politics as usual” routine. The OHS’s current status is truly unique for a state agency. I worked for a neighboring state’s environmental agency where the entire budget was set by the legislature, approved by the governor, and governed by political appointees. Even the fees and fines our agency had a regulatory mandate to collect could not be retained by the agency for program operation but had to be turned over to the state treasurer. So, I am truly surprised Oklahoma’s legislature has allowed grants, donations, rental fees, and membership dues to be maintained by OHS. After OHS is no longer an “independent” agency, it clearly will not only lose the ability to collect membership dues, it will also lose control over any of the funds or other assets it currently has or might acquire. Once those assets are lost in the morass of the state treasury where they will be at the whim of the legislature and political appointees there is certainly no guarantee that the funds will appropriated back to OHS for its programs. Also, when the legislature decides to “balance the state budget” will OHS properties or collections go on the auction block? So, is “efficient operation” the true goal of the legislature or is it the money, collections, grants, etc. that OHS has so effectively acquired and controlled?